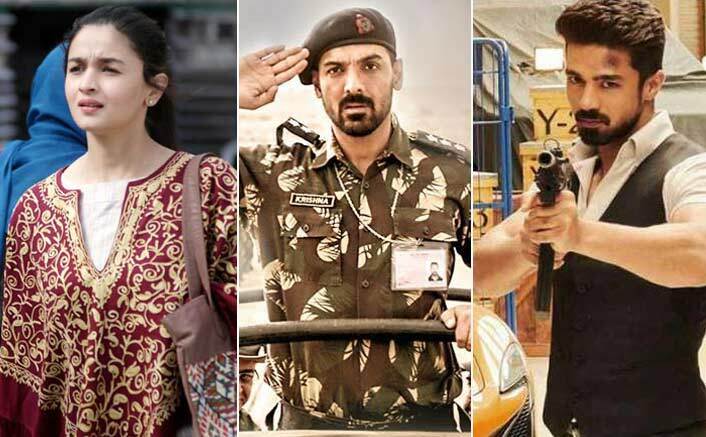 Even with the box office storm that is Race 3 comparatively old horses Raazi and Parmanu: The Story Of Pokhran hold their ground and continue to churn out impressive numbers. The record numbers collected by these films have surprised trade pundits and continue to prove that content still has value in the box office. Let’s begin with John Abraham’s impressive Parmanu: The Story Of Pokhran, the film has been consistent and moved into its fourth week with ease. It took a dip on Friday as Race 3 released in theatres, but shockingly it picked up its pace on Saturday and brought in a cool 83 lakhs. On Sunday it showed a minimal jump and collected 86 lakhs. On Monday it has collected 38 lakhs. This has propelled the film to finally cross the 60 crore mark. The grand total stands at 61.29 crores and is smoothly running in 318 cinemas with almost 464 shows per day. Will the film give any more surprises or will peacefully die down remains to be seen. On the other hand Alia Bhatt’s Raazi is still collecting on lower side. The movie showed around 50% of drop comparing to its 6th Sunday. It collected 15 lakhs on its 6th Monday and now the total of the movie stands at 122.07 crores. The big fish – Salman Khan’s Race 3 has grabbed a major chunk of screens from the holdover releases. It will be interesting to see if Race 3 shows a drop from today will the running releases witness an increase in their show-timings. Also, this week there is no notable Bollywood release this week but Hollywood has a couple of offerings for us. Disney-Pixar’s Incredibles 2 and Warner Brothers’ Ocean’s 8 will hit the screens this Friday. The post Box Office Collections: Parmanu & Raazi Hold Their Ground In The Race 3 Storm! appeared first on Koimoi.